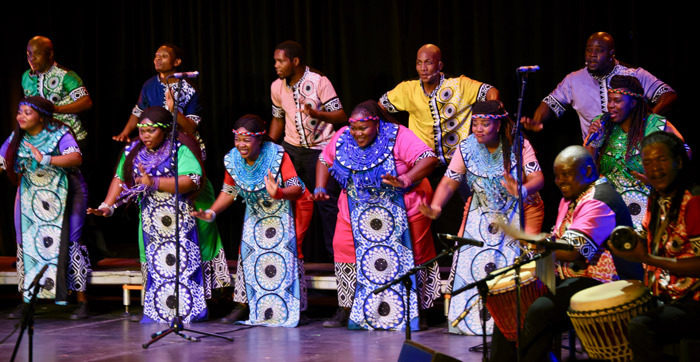 The Soweto Gospel Choir flew the South African flag high at the prestigious Grammy Awards in Los Angeles on Sunday night‚ where they walked away with their third Grammy. The group walked away with the Best World Music Album award for their album Freedom. Last night’s win marked the third time the group took home a trophy at the prestigious awards. The award was received by album producer Diniloxolo Ndlakuse Shimmy Jiyane‚ Mary Mulovhedzi and Mulalo Mulovhedzi‚ whose late father David Mulovhedzi co-founded the group with producer Beverly Bryer 17 years ago. Freedom was released last year as part of the group’s tribute to the 100 Years of Mandela celebrations. It features a selection of South African struggle songs including a version of Johnny Clegg‘s iconic hit Asimbonanga. The win sent waves of excitement across Mzansi and social media was abuzz with congratulatory messages on Monday morning.